Modern world companies are investigating ways to optimize both cost and operational efficiency of each phase of their supply chain, such as planning and forecasting, sourcing and procurement, logistics and service and spare parts management. Cloud computing emerges as a useful technology that contributes to this optimization by providing infrastructure, platform and software solutions for the whole supply chain. The utilization of cloud-based services in supply chain management leads to both financial and operational benefits. Lower cost in contrast to on-premises infrastructure cost, supply chain visibility, platform scalability and flexibility through supply chain partners. A Cloud is a type of parallel and distributed system consisting of a collection of interconnected and virtual computers that are dynamically provisioned and presented as one or more unified computing resources based on service-level agreements established through negotiation between the service provider and consumers. Cloud consists of several elements such as clients, data center and distributed servers. It includes fault tolerance, high availability, scalability, flexibility, reduced overhead for users, reduced cost of ownership, on demand services etc. Cloud eliminates the compatibility problem using same platform access and provides easy connection to every part of supply chain. It enables supply chain information collaboration between partners in one supply chain system. Members of supply chain can enter and added in the collaborative environment of loud using member id and password. All users have authorized to operate simple process and application in the same platform, which reduced response time of supply chain partners. Visibility is a key issue for SCM as it not only helps such companies to coordinate their operations and manage many different customers but also allows the customer network to have a transparent view of the entire system. Cloud-based systems are able to provide real time visibility of inventory and shipments. 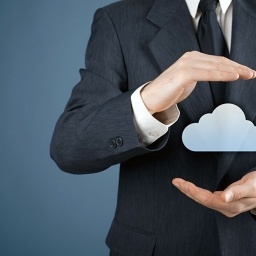 Security is the foremost concern for any business when it thinks about cloud. There is also a need to build a security into the platform. This security will administer the highly complex business relationships, permissions and roles of multiple organisations working together. A technology platform by itself can’t deliver the results. Supply chain gets the ideal platform through cloud. Community gives the platform ultimate value. Similar to an update in Facebook is visible to everyone in the friend list; similarly an inventory status event will be visible to all the partners and stakeholders instantly. This is cloud supply chain. 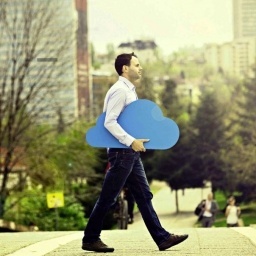 By using cloud computing, companies can control their system capacity more accurately. In periods where demand is high, companies need enough capacity in order to be able to face this increasing demand. With the advent of cloud technology, companies were given the opportunity to adjust their capacity automatically according to their needs and scale their computing power depending on demand fluctuations. Download free supply chain software now! 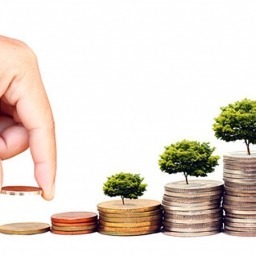 Follow simple steps to increase your business profit using Supply Chain software.